Interim Budget 2019-20 Key HIGHLIGHTS! 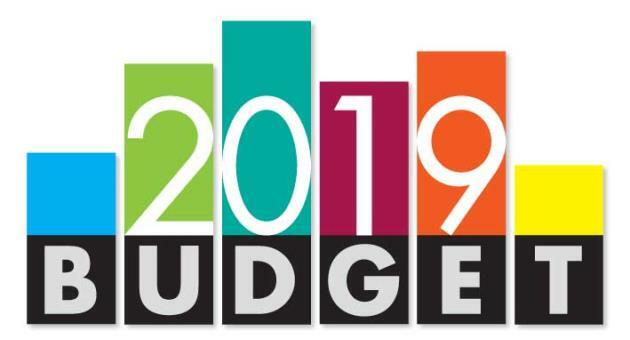 Union Finance Minister Piyush Goyal presented an Interim Budget for 2019 in Parliament on Friday. Here are the highlights and Key points of Interim Budget 19-20. Tax slab raised from Rs 2.5 lakh to Rs 5 lakh for Individuals, Finance Minister Piyush Goyal announces full tax rebate for individual taxpayers with annual income up to 5 lakh. No tax on notional rent on the second self-occupied house. The tax benefit of Rs 18,500 crore given to three crore middle-class taxpayers. Custom duty abolished from 36 Capital Goods. Ceiling Limit of TDS u/s 194A has increased from 10000 to 40000 on post office savings. Ceiling Limit of TDS u/s 194I has increased from 180000 to 240000. FY20 gilt repayment pegged at Rs 2.36 lakh crore. Farmers with less than two hectares to be offered Rs 6,000 per year as a direct transfer under PM Kisaan Samman Nidhi. Around 12 crore farmers to benefit from the scheme. Mahatma Gandhi National Rural Employment Guarantee program’s allocation increased by Rs 5,000 crore to Rs 60,000 crore for FY-20. Farmers struck by natural calamities will now receive 2-5 per cent interest subvention under the insurance scheme. Two per cent interest subsidy to be given to farmers involved in animal husbandry activities via kisaan credit card scheme. An additional three per cent subsidy will be paid on timely payment of loans. The announcement of Rashtriya Kamdhenu Aayog to enhance the productivity of cows. To provide Rs 750 crore in FY19 to support animal husbandry and fishing. The monthly pension of Rs 3,000 for workers in the unorganized sector to be paid out after retirement. Employees’ State Insurance eligibility, coverage limit has been raised to Rs 21,000 per month. Gratuity limit increased from Rs 10 lakh to Rs 30 lakh. Rs 38,572 crore allocated for the National Education Mission. The Center will implement the special strategy for the uplift of nomadic tribes. Single window clearance for film-makers. Anti-camcording provision to be introduced to Cinematography Act to combat film privacy.